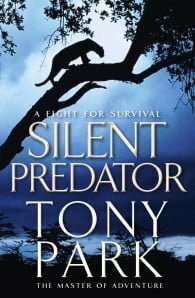 In a luxury private safari lodge in Kruger National Park, Detective Sergeant Tom Furey has just woken to a protection officer’s worst nightmare. The VIP in his charge, British Assistant Minister for Defence, Robert Greeves, has vanished. Knowing his career is on the line, Furey vows not to stop until Greeves is found – dead or alive. He and his South African counterpart, Inspector Sannie Van Rensburg, go against official orders and start the hunt for the suspected band of terrorists through the outer limits of the National Park to the coastal waters of Mozambique. Increasingly drawn to Tom, Sannie can’t resist becoming more and more involved in his dangerous mission, even risking her job to help him. By the time Tom and Sannie discover that their foes are as elusive and deadly as the stealthy predators of the African bush, it is their lives, and those of their loved ones, that are at risk. This is a fight to the death, and involves a crime beyond anyone’s worst imaginings.